Karim has written about his pioneering Indian grandmother, Shirin Gwaderi, born in Kenya almost a century ago. Having interviewed 120 grandmothers on five continents for my newest book, Grandmother Power, I can report that contemporary grandmothers all over the world are not sitting in their rocking chairs. They are collaborating effectively to create a better future for their grandchildren. For me, that person was undoubtedly my grandmother, Shirin Hassanali Gwaderi, whom I called ‘Mummiji’. 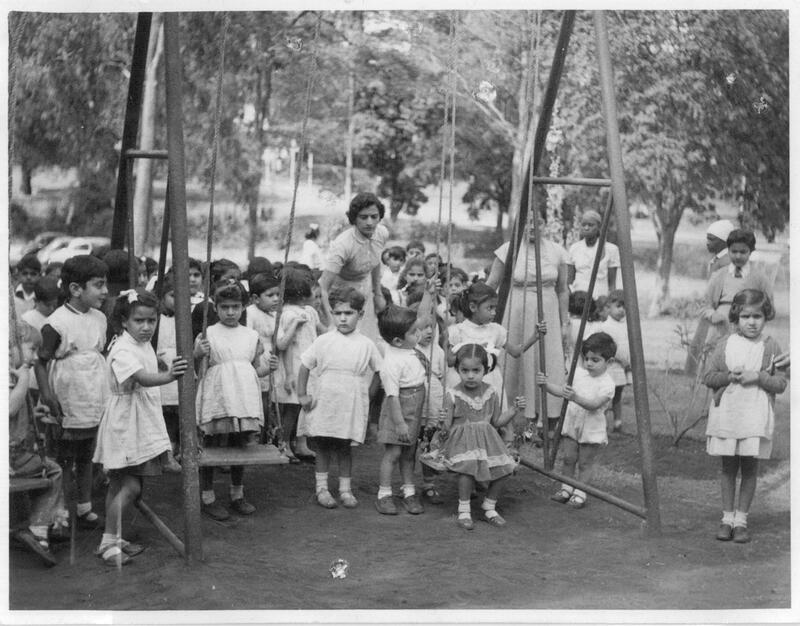 Shirin Hassanali Gwaderi was a pioneering school teacher, school principal and a founder of a multiracial school in the racially segregated city of Nairobi in the 1950’s. At women’s satsang meetings, they discussed the famine and the emigration of families out of Kutch and Gujarat. She got married to my grandfather, Hassanali Gwaderi (whom I called ‘Apaji’), in the late 1930’s around the outbreak of the second World War. How does an Indian woman of Mummiji’s generation come to found a multiracial school in Nairobi? In order to understand the context, it is necessary to perceive the quiet, understated and constant support she received from her progressively minded husband (my grandfather), Apaji. In a generation of Indian men who expected their wives to serve them in a somewhat subservient role of cooking and cleaning and raising children, Apaji was an anomaly. He positively glowed with admiration at his wife’s intelligence, tenacity and enterprise. Rather than hold her back, he encouraged his wife to blossom into her fullest potential. He rejoiced in his wife’s success. In practical terms, this meant that Apaji encouraged my grandmother to apply for a grant to go to London, England for a teacher training course and receive teaching credentials with which she returned to colonial Kenya and became an elementary school teacher. This was the same school that I attended in Nairobi when I was a child and where Mummiji was one of my teachers. 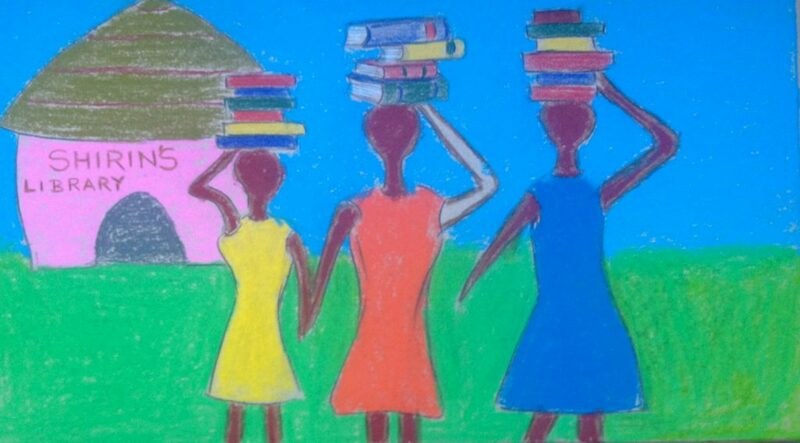 When I was about 12 years old, Mummiji apprenticed me at her school in Parklands, Nairobi and I would help her teachers with various tasks such as preparing and clearing up the materials for arts and crafts classes. Art was an important subject in her school curriculum. 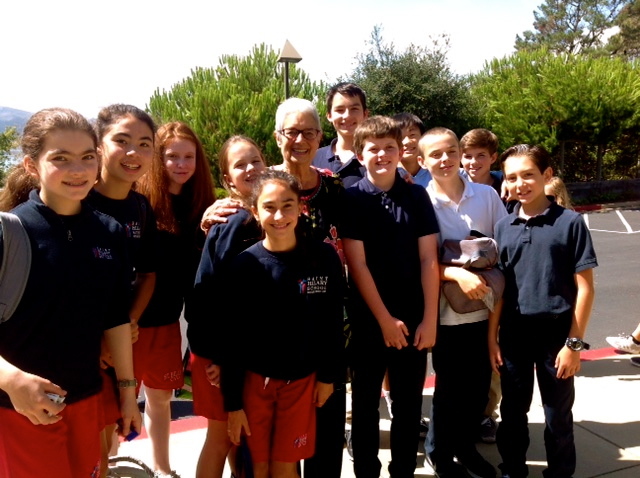 She loved the creative spirit of children. Something that made a lasting impression for me, is when Mummiji would volunteer me to read out loud diverse cultural stories to her elementary school students. These stories were carefully selected from a diverse batch of books ranging from Kenneth Graham’s Wind in the Willows to local writers from Kenya, Uganda and Tanzania. Mummiji embodied values of “multicultural curriculum” well before such concepts had a name or label. Mummiji embraced the progressive ideas of “multicultural curriculum” well before such concepts had a name or a label. With Hassanali Gwaderi, my grandfather, I learned of Indian and African diaspora storytelling. Those young men who left during the previous drought arrived in desiccated Monsoons. They said sweet water, milk and honey flowed in Africa like rivers from the Himalayas. Hassanali Gwaderi took his family name from the port of Gwader (below, near bottom of the map, on the red dotted Border of Khanale) on the Arabian Sea, on a battered steamship that sailed on the Indian Ocean crammed with refugee immigrants headed for the Kenya coast of Mombasa. 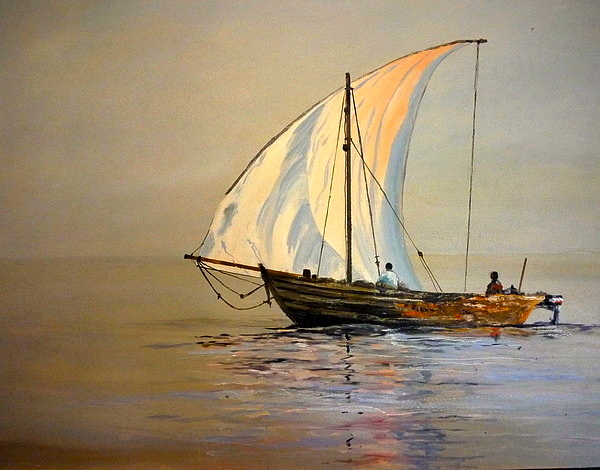 In the early history of the Swahili coast, Arab traders sailed in dhows (boats) and charted their way from Oman and Gwader to Zanzibar and then Mombasa on the Kenya coastline. In fact, the Swahili spoken in East Africa is actually a blend of African and Arab languages and dialects. Apaji’s stories embodied the modern idea of “postcolonial literature” well before such concepts had a name or a label. Apaji embodied the values of oral storytelling traditions which elucidate modern Postcolonial Literature. These stories were intricately woven and seamlessly spun through the fabric of the colorful cultural traditions of Bolochi tribalism, Gujarati villagers, Kikuyu folklore, Indian diasporas in British East Africa, Zanzibar traders, seafaring Arab voyagers and adventurers sailing dhows on the Indian Ocean. All this was framed within the colonial context of The British Empire. Punjabi blacksmiths, Kutchu Kanbi stonedressers and Gujar Shuthar carpenters bring their skills to build the new capital of Kenya. They pull together with the Kikuyu, Kamba and Luo people, all workers, builders of the foundation of The British Empire and a new country. A modern Kenya. In their twilight years, my grandparents had an extension built in the verandah of their modest home in Parklands, Nairobi. This consisted of a row of classrooms so that Mummiji could run a school and a day care center. The art room was crammed with colored chalk and crayons. As was usual for my energetic grandmother, she ran about with youthful vigor attending to every detail and need of the children and teachers in her school. When it came time for me to be sent off to school from Nairobi, Kenya to London, England at the age of 7, my grandmother shared her own experience of her teacher training in London and she advised me that, although the long English winters can be cold and grim, I could always find the joy and warmth of the African people in my heart, which I would carry with me to England, as a priceless gift from my homeland, Kenya. As was usual for my unassuming grandfather, he would quietly support his beloved wife, the pioneering Nairobi school teacher, with a warm glow of pride and big heaps of admiration. 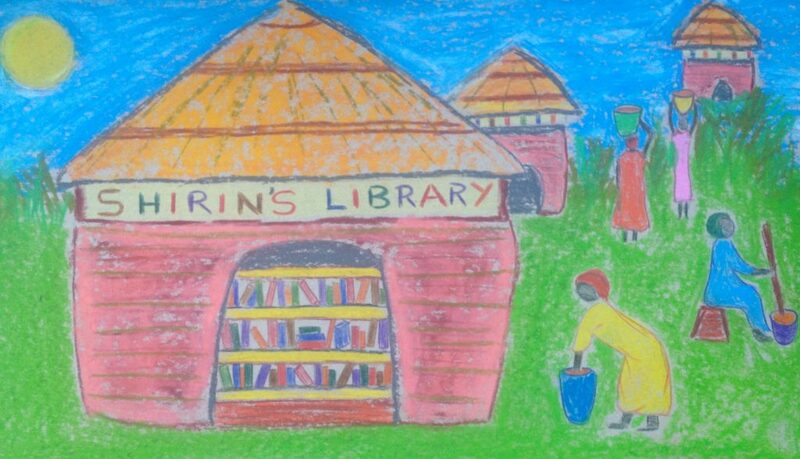 To celebrate and commemorate the memory of Shirin, his schoolteacher grandmother, Karim is building a library in Kenya known as “Shirin’s Library”. Click here to learn about Shirin’s Library.